Online and digital cultures are among the most personally gripping effects of globalisation in our increasingly networked world. While global multimedia culture may seem to endanger traditional folklore, there is no doubt that it creates new folklore as well. Folklore in the Digital Age vividly illustrates the range of e-folklore studies in updated papers and essays from the author’s 21st-century research. The themes covered include not only the most serious issues of the day, such as the 9/11 attacks and natural disasters, but also cheerier topics, such as online dating and food culture. 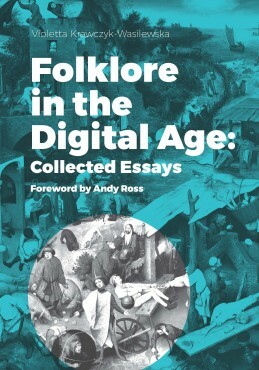 In these essays Professor Krawczyk-Wasilewska paints a convincing picture of digital folklore as a cultural heritage. She covers a wide range of issues from all levels of society and offers fascinating insights into how online culture affects our postmodern lives.